HIKING HOLIDAYS IN NEPAL ! 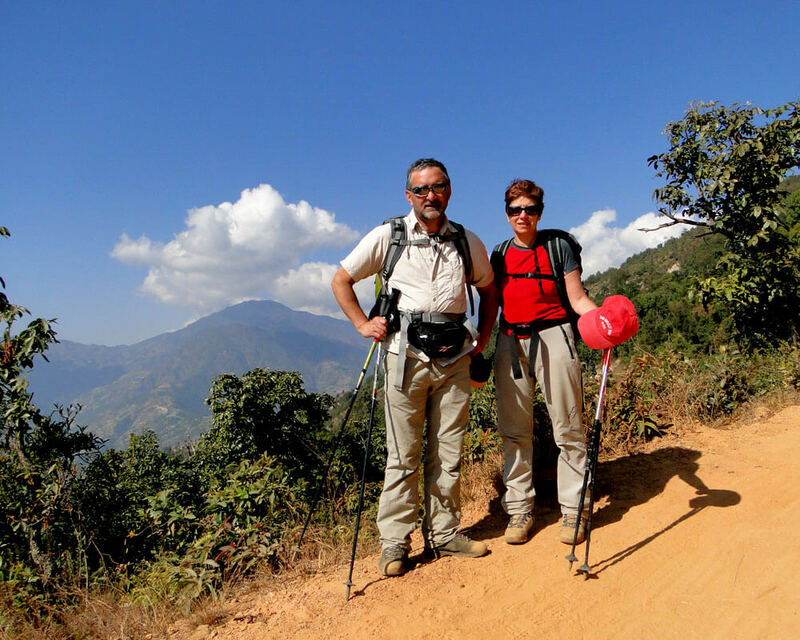 Hiking is walking holidays and short version of trekking, basically, we call trekking for a week or more walking Holidays and the most popular tourism activities in Nepal is hiking or trekking as the hiking is one of ways to explore the Nepal and its unique geographical structure, mountains, villages, Himalayas, terrace and much more, the small hiking trips in Nepal are suitable for those have limited time and still want to experience the trekking in the Himalayas as these hiking holidays offer panoramic views of Himalayas, lush valleys, beautiful landscapes, cultural heritage, rural people and their culture. Nepal is for travelling through the virgin-land, hill side, plain lands and mountain ranges, as well as to be enchanted with the diverse flora and fauna, majestic mountains and learn to take challenges of living the life in a freezing weather in the Himalayas and the scorching climatic condition in the plain land of Terai. Nepal has something to offer to each individual who love either to travel or have Hiking in a number of chained Himalayas that have been spread in the northern belt of the country. In other-word, Nepal owns the lowest elevation of earth to the highest peak of the earth. Therefore, it is best known as the home of Mt. Everest and the highest number of mountains in the universe. The figure shows that out of 14 the highest peaks above 8,000 meter in the world, Nepal owns eight of them and more than 1,300 peaks above 6,000 meters, therefore, anyone is enchanted and exhilarated with the panoramic views of these mountains. These incredible numbers of majestic mountains make Nepal to be the best place for hiking in Nepal as well as a unique and the best destination to spend the holiday with much thrill. During the Hiking, the visitors can have simple excursions to hard-hitting climb on these snowy peaks. The famous Himalayan range, favorable climate, the hospitality of the Nepalese people and their culture, the natural landscapes, mountains, rivers, glacial lakes, forests and wild animals make the Hiking a memorable moment in anyone’s life that is almost impossible to one to find such a paradise land in the world. Therefore, people love to visit Nepal at least once in their lives.